Screw lock connections are now available for USB Type-C cables! 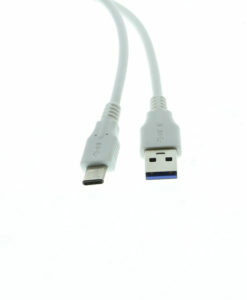 Compliant with USB 3.1 specifications, this cable supports 10Gbps and a maximum of 3A power. Use power and data transmission simultaneously and optimize you Type-C usage. Coolgear’s new USB 3.1 Gen2 Type-C to C cable incorporates a dual screw lock mechanism on one end of the cable to secure a connection. The dual screw lock cable is 0.5 meter long (19.68 inches) and supports up to 3A of power to USB-C devices. The screw lock mechanism does not interfere with the connection if not used. The USB 3.1 Gen2 screw lock cable provides a pathway for up to 10Gbps of data to be transmitted and a maximum of a 3A current for power. Data transmission and power can be used simultaneously to the most out of your USB-C cable. USB 3.1 application diversity using a dual screw lock Type-C cable. Transmit data at speeds of up to 10Gbps to and from Type-C devices. 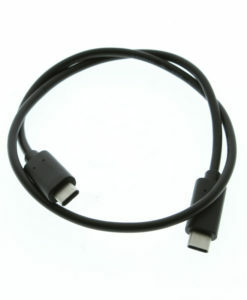 Use a USB wall charger, desktop charger, or high powered battery bank, the cable can charge devices up to a 3A. 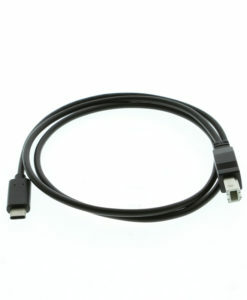 This means laptops or notebooks and tablets can receive their maximum power through the cable via the source connection. Use with a USB 3.1 Type-C self-powered hub for power devices and data transfer. Incorporates a dual screw lock mechanism to secure the cable connection at one end. Compliant with USB 3.1 Gen2 specifications with up to 10Gbps data speeds. Can carry 3A of power max to devices from an appropriate power source. Can be used with non-screw lock devices without interference. 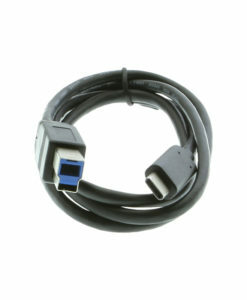 This USB 3.1 dual screw lock Type-C to C cable is also available in a 1 meter length (39.37 inches).